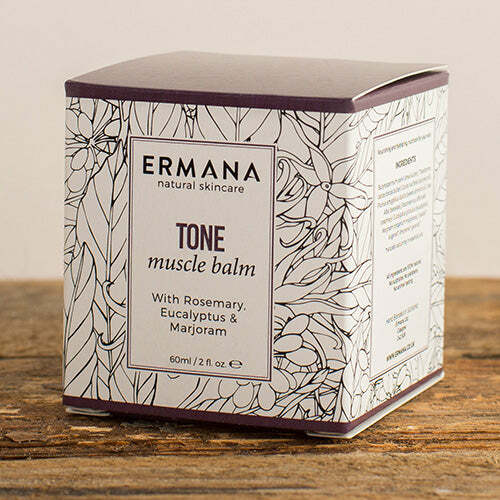 Our tone muscle balm is a rich blend of natural butters which protect and condition the skin. 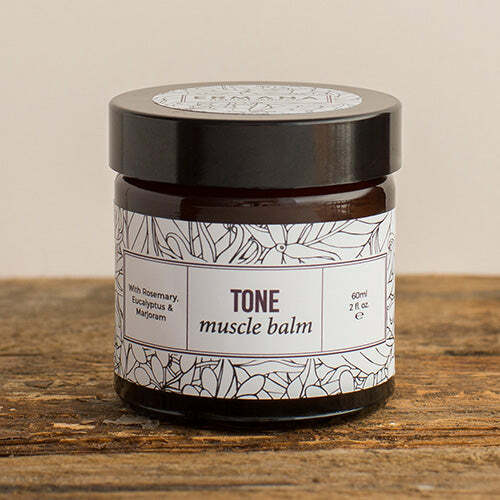 Warm a small amount of tone muscle balm between the fingertips until the balm melts, and massage into aching or tense muscles. Ideal for pre or post workout rub. Suitable for all skin types. Hand blended with sweet almond oil and beeswax and infused with rosemary, eucalyptus and marjoram pure essential oils which warm the skin, help improve circulation and ease muscular strain. DIRECTIONS – Do not use on broken skin.